Avida Towers Prime Taft is residential condominiums developed by Avida Land. Avida Land's main mission is to provide Filipino residents with affordable dream home and secure communities. It is aimed at providing a comfortable life for the middle-income Filipinos. It is one of the leading real estate residential property developers all over the Philippines. They develop and evolve the residential environment and ensures the welfare of its residents. Avida Towers Prime Taft is the perfect home for youngsters, students, families and the working professionals who are looking out for a dynamic urban and suburban way of life. These residential complexes are masterfully crafted. It comprises of three tower condominiums. The residential unit types offered to residents and prospective real estate buyers are of three types. They are the Studio Units, 1 Bedroom units, and 2 bedroom Units. 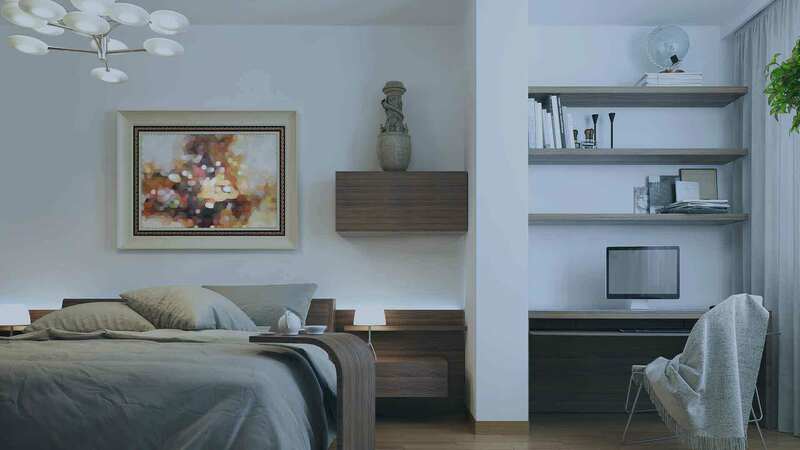 The Studio residential units cover an area of 22.40 square meters with a starting price of PHP 2,400,000. The 1 bedroom residential units cover an area of 36.09 square meters with a starting price of PHP 4,300,000 and the 2 bedroom residential units cover an area of 57.67 square meters with a starting price of PHP 7,100,000. As you can see the prices are quite reasonable for the quality, the amenities and facilities offered to residents. The payment schemes too are flexible and easy. You can pay the amount in easy installments. The first payment scheme option is also known as the ‘Spot Payment', where prospective real estate buyers can purchase residential condominium units with Spot Cash with a 9% discount. The second payment scheme option is also known as the ‘deferred Cash' scheme where buyers can purchase their desired residential condominium units 100% in 24 months at 0%. The last payment option for payment includes a 20% DP with 5% discount which extends to 23 months and also an 80% remaining balance amount which is payable through bank finance. The very name of these residential complexes which includes in it the word ‘prime' indicates that these are high-quality condominiums that offer all you will ever need for a fully satisfied lifestyle. Enjoy the best of what the city has to offer you by residing at the Avida Towers Prime Taft. The entire area of residential complexes is planned and built with all that is needed for a condo. Amongst these includes excellent and unique designs, good ventilation systems, sufficient natural light seeping through the windows and ventilation, circulation of fresh air within the residential condo units, spacious units, fewer units on each floor. It is also designed to include well-spaced interiors and exteriors, privacy, complete and reliable round the clock security, friendly neighborhood and surroundings, top-notch amenities and facilities, reliable electric power backups, provision of emergency power. With Avida Land, you can be rest assured to get the exact property value of your investments in this home. You can also make your investments here in easy installations and payment terms. These residential condos are up for sale to prospective buyers and other Filipinos who are looking for a decent home for themselves and their families. The residential lot sizes range from 22.08 sqm to 57.67 sqm. The price range of these residential units ranges from 2.4 Million to PHP 7.1 Million. At such reasonable prices, you get to enjoy all you ever wanted in a home. It offers you a contemporary living experience. Be in charge of your lifestyle and how you prefer to spend the rest of your life, by investing in the Avida Towers Prime Taft. Avida Land is the mastermind behind the creation and development of this amazing stretch of residences. They blend together and harmonize retail, residential, business and commercial facilities, all nearby and within the reach of its residents. The real estate project development type of Avida Towers Prime Taft falls under the term ‘condominium'. If you are looking for a balanced lifestyle along with modern facilities, then these residences are the ideal choice for you to invest your savings into. Avida Towers Prime Taft is part of an ever evolving portfolio of real estate property such as Avida Towers Sola In Quezon City, Avida Towers Turf BGC in Taguig city, Avida Towers Astrea in Quezon City, Avida City Flex Towers BGC in Taguig city, Avida Park Field Settings Pulilan in Bulacan, Avida Capital House in Taguig city, Avida Settings Altaraza in Bulacan, One Park Drive in Taguig city, Avida Storeys Atria in Iloilo city, Avida Towers on 34th Street in Taguig city, Avida Towers Alabang in Muntinlupa City, Avida Towers Altura in Muntinlupa city, Avida Towers Aspira in Misamis Oriental, The Montane in Taguig city, Serin West Tagaytay in Cavite, Serin East Tagaytay in Cavite, Centrio Tower in Misamis Oriental, Avida Parkway in Calamba City, Avida Residences Dasmarinas in Cavite, Avida house and lot residences Santa Catalina in Cavite City, Avida House and lot settings Alviera, Avida Settings Cabanatuan in Cabanatuan city, Avida house and lot settings in Cavite, Avida House and lot settings Lipa in Batangas, Avida South Field Settings Nuvali in Laguna, Avida Towers Astrea in Quezon city, Avida Towers Atria in Iloilo city, Avida Towers Cebu, Avida Towers Centera in Mandaluyong city, Avida Towers Cloverleaf in Quezon City, Avida Towers Davao, Avida Towers Intima, Avida Towers New Manila, Avida Towers One Union Place, Avida Towers Riala, Avida Towers San Lorenzo, Avida Towers Sola, Avida Towers Sucat, Avida Towers Verte and lots more. Perfect home for active young achievers seeking for a dynamic urban lifestyle, Avida Towers Prime Taft is a masterfully crafted three-tower condominium with three available unit types: Studio Units, 1 Bedroom, and 2 Bedroom Units. As its name "prime" suggests, it is a high-quality condominium that presents you the best of what the city has to offer. It is thoughtfully planned and built with all the condo must-haves in mind, i.e. breathable design, good ventilation and sufficient natural light, fewer units on each floor for more space and privacy, friendly amenities and facilities, 24-hour reliable security, efficient emergency power system, assured appreciation of property value, as well as easy payment terms. Avida Towers Prime Taft is located at Taft Ave., Brangay 34 Zone 3, right at the heart of three fast-paced cities: Manila, Makati, and Pasay. It is near to JAC Liner Bus Terminal, LRT1's Vito Cruz station and Gil Puyat station. Strategically located in Vito Cruz, everything you need is within a spitting distance. It is near the city's top academic institutions, such as St. Scholastica's College, College of St. Benilde, De La Salle University, Arellano University, and Arellano University School of Law. If you are seeking for medical assistance, Manila Adventist Medical Center, St. Clare's Medical Center, and Miraculous Medal Hospital are only few stretches away. Nearby malls include SM Hypermarket, San Andres Market, Harrison Plaza, Cash and Carry, Harbour Square, and Mall of Asia. In addition, leisure sites such as Cultural Center of the Philippines, Ninoy Aquino Stadium, and Philippine International Convention Center are all within minutes from Avida Towers Prime Taft. Looking to outsource chat support? We recommend Help Desk 247. Avida Land Avida Towers Prime Taft in Pasay City, Philippines is a premier Condo project available for sale. If you're looking to rent or purchase Avida Towers Prime Taft, then check here first. We have full details of Avida Towers Prime Taft updated regularly as well as everything you need to know about the availing and booking process, broken down into stages that includes selecting a unit, choosing a payment plan and buying your dream home at the right price. For price list, free site tripping or showroom visit, personalized service, model house, unit plans, floor plans, payment terms, CHAT LIVE with an agent 24x7. We are Remax Perfect Homes. Always only buy from PRC licensed Real Estate Brokers and Agents.